Dental Associates of Walpole is unique – many practices can provide you with up-to-date dental techniques, but very few offer a comprehensive team of specialists to coordinate your care. We enjoy working as a team, and look forward to caring for your family. At Dental Associates of Walpole, we have been caring for patients like you for more than 30 years. Our staff is the best in the field, and we work together to provide superb care to every patient who walks through our doors. Dental Associates of Walpole supports education as the key to prevention of dental disease. For over 20 years we have presented our entertaining Smart Smiles educational program to day care centers, nursery schools, local elementary schools, libraries, and more. 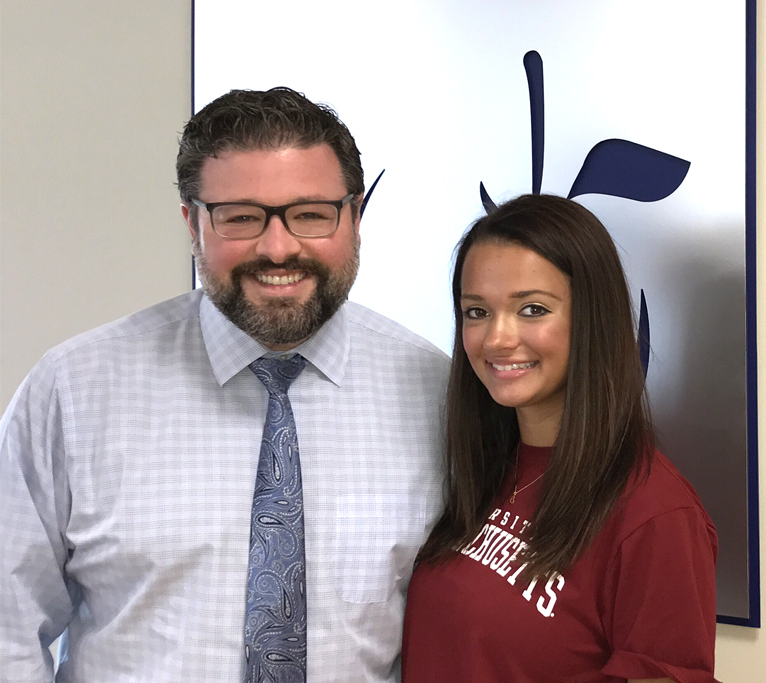 Dr. Kane and Walpole High School graduate, Emily O’Connell, who was awarded the 2017 Dental Associates of Walpole Scholarship. We have developed a program targeted to middle schools that stresses the importance of oral healthcare, use of a mouth guard for contact sports, and the dangers of tobacco use. 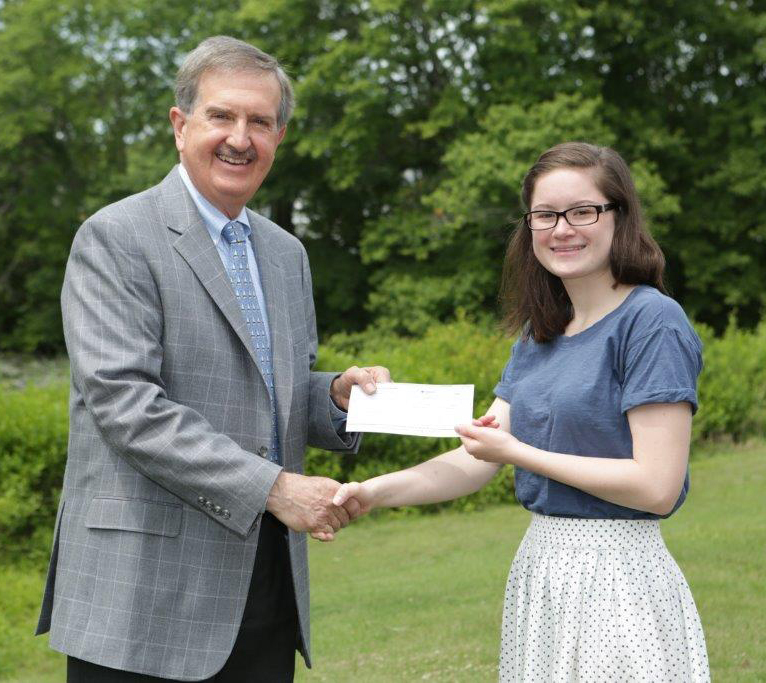 At the high school level, our office is proud to provide a yearly scholarship to a Walpole Senior pursuing studies in dentistry, dental hygiene, or a medically related field. With the success of this scholarship program, it is our goal to expand this opportunity to high schools in surrounding towns. Our entire team is passionate about volunteering, and each year we give our time and expertise to organizations that are near to our hearts. Project Stretch provides vital dental services to children in need, and Smiles Change Lives promotes and provides access to life-changing, essential orthodontic treatment for children from low-income families. We are also proud sponsors of local community organizations here in Walpole and surrounding towns, including the Home for Little Wanderers, Relay for Life of Greater Norwood, and the Oral Cancer Walk. Dental Associates of Walpole collaborates with the Visiting Nurses Association to provide information and educational materials to new mothers about dental care for infants. In conjunction with the VNA, we offer select complimentary infant/toddler exam gift certificates for your child’s first visit to our office. Everyone deserves to have a beautiful smile, and at Dental Associates of Walpole we believe in giving our time to help change lives, one smile at a time.